This is one story that I began working on in May 2018, there wasn’t much information available except for the fact that I had heard first hand interactions of people; basically a lot of anecdotes. Now when I sat down to look for the story- I couldn’t find it on my computer, I checked my email to see if by any luck I had it there. I wasn’t that lucky which means I had to rework on the entire story. I know for sure this will remain one of the finest stories that I have put up on IWH. I was introduced to Ms. Mona Chawla through her training manual. When I joined The Taj Mahal hotel in 1997, part of my training was the theory and practical sessions as it happens for all new management trainees joining any organization. When in the Housekeeping department; we a batch of 3 used to have practicals in the morning followed by theory sessions by the Executive Housekeeper post lunch. Ms. Christine Saldanha was a through professional, trained by Ms. Chawla and it was now for her to impart the knowledge, skill and attitude to us – the 3 musketeers! She did a brilliant job and I guess we were good trainees. Can say so as we are still in the industry and doing fine! We heard so much about Ms. Mona Chawla from all in the hotel; not just the Housekeeping staff. I could easily picture the lady from all that. 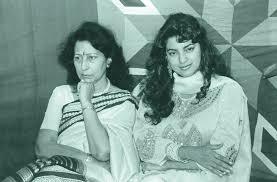 Also everyone would talk about her famous daughter, Bollywood actor Juhi Chawla. The room attendants would fondly speak about Juhi coming to her mother’s office after school and how she was a loving child; extremely talented like her mother. It became easier for us to form a more realistic picture of Ms. Chawla. Ms. Mona Chawla, joined the Taj in the early 1970s and worked there for over 22 years, going on to head housekeeping for all the Taj hotels. 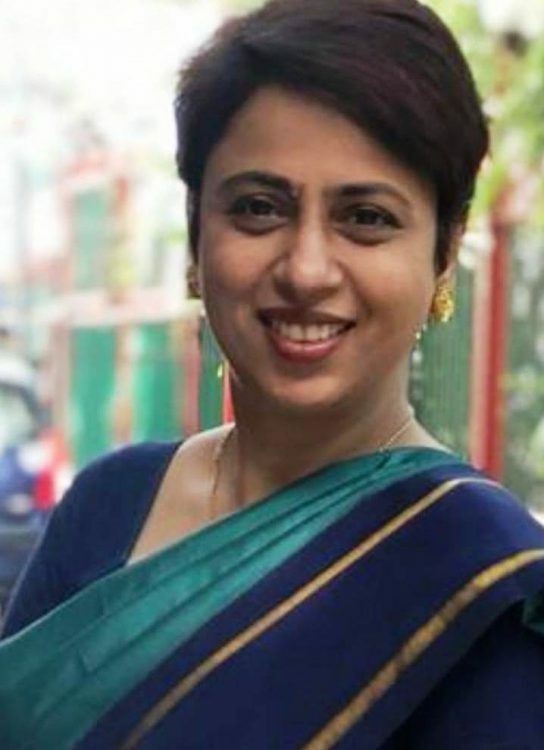 In fact The Taj was the reason the family (her husband worked in the Indian Revenue Service and had two school going children) shifted from Delhi to Mumbai. She set up many hotels for the brand- Lake Palace at Udaipur, Falaknuma Palace in Hyderabad and the Taj properties in Goa, Delhi and Kolkata being some of them. She had an illustrious career with the group and has left a legacy behind – the systems and SOPs that even I was trained on. It was the time when all these were in nascent stages but Ms. Chawla’s work was truly noteworthy and quite ahead of it’s time. Ms. Chawla died in a car accident in Prague in 1998. Not much can be found written about the great hospitality professionals, the change makers we have had. So I tried to create a sketch of Ms. Chawla’s professional journey and getting to know how she really was from the people who have worked very closely with her. I spoke to some of them, her colleagues at the Taj, who also have had long and illustrious careers in the industry. Mr. Ajay Grover who began his career in 1978 with Taj Mumbai and quit as the General Manager in 1995. He then joined Jet Airways and worked with many other organizations after that says, “I had the absolute pleasure of knowing Mrs. Mona Chawla very closely professionally. She was a very polished lady and soft spoken to the core. I did my training for a few weeks in Housekeeping and laundry under a training program. She was the most unbelievable HOD ever and being a Punjabi from Delhi I formed a special bond with her. She would at the drop of a hat want to converse ever so softly in Punjabi (so unlike the Punjabis) I was terrible in the language and she found that very amusing. We however maintained a great warm bond and I would spend hours with her whenever she came to Delhi or Calcutta for the new Hotels opening. A through bred professional she would take pains to train new comers. Her eye for detail was commendable. She walked into the Crystal Ball room in Kolkata and immediately noticed that some bulbs were of different wattage in that huge chandelier and even in the wall lights she ever so politely FIRED the housekeeper; it sounded as if she was singing a soulful song. I laughed and told her “What kind of scolding was that” and we had a hearty laugh. She was unbelievably humane. Wouldn’t hurt a fly! Those moments with her are etched in my memory and will remain there forever. I did learn Punjabi and always tried to speak in Punjabi with her … though couldn’t ask her if I had finally become a Punjabi or not! Ms. Gurmeet Ginny Sharma, Senior Assistant Vice President – Express Housekeeper Pvt. 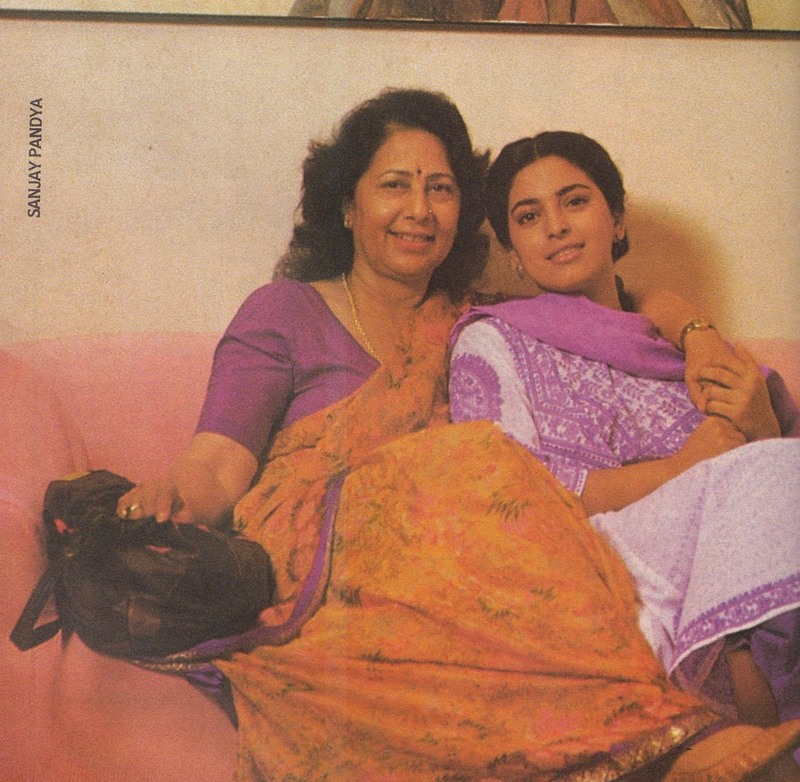 Ltd. started her career under Ms. Chawla. She has very fond memories of the inspirational lady and says that she owes it all to her and the Taj. 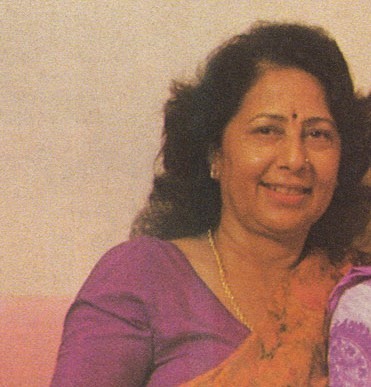 She adds, “Ms Chawla mentored quite a few of us, she picked up the Housekeeping Management Trainees; created a Cell of housekeepers who would be Executive Housekeepers for other properties as Taj was in the expansion during Mr. AB Kerkar’s tenure. We Cell trainees were put under rigorous training schedule- right from making rooms (equivalent to a houseman) then they were checked by her or the EHK on a daily basis. We did this for at least 3 to 4 months. We had classroom training with Ms Chawla. Trust me had to face opposition from the rest of the department because we were put on a higher grade. We slogged during CHOGAM (Common Wealth Countries Meet ) when Taj Hermitage was commissioned. Leaders of the world had come to Goa, Margret Thatcher, Indira Gandhi among others during CHOGAM. She wanted her girls to be all rounders and ABK supported her. She put us on renovation projects in Lake Palace and Goa, All movements within notice of 24 hours. Mr. JM Verma also supported her; she was very passionate about her work and expected the same from us. She was heading all the Taj units, and every unit had an EHK. She and Mrs. Elizabeth Kerkar, who was looking after designing and artwork across the Taj group were very good friends. She in turn looked into the nitty gritties of the interiors of every room; she even knew the color scheme of each and every room at the hotel. Ms. Sharma shared so many incidents and anecdotes that give us a glimpse of Ms. Chawla’s life and personality. We also spoke to Ms. Saraswati who was a batchmate of Ms. Sharma. She too shared a bouquet of her memories of Ms. Chawla, “I remember how Ms. Chawla used to take classes for us after our practical training -cleaning rooms at the Taj! She would tell us to go to Linking Road (a shopper’s paradise in those days) and bargain while shopping and enjoy our off days. She was more a friend than a boss! Even when we moved to units as HODs she was very supportive and helpful especially when we had problems with our General Managers. She taught us to handle all kinds of situations. I remember one more incident while we a group of 6 girls (some bunked ) and others by taking comp off or night off went to Mahabaleshwar for 2 nights and had a great time! When we returned of course we were ready for ‘whatever was to come – say shoutings! 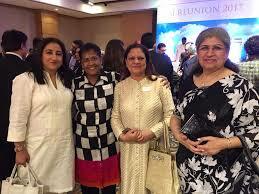 but Ms Chawla was too sweet and very nicely told us “Girls, you must enjoy but inform and then go. We so well knew that’ a group of 5/6 could never get an off together even if we informed so the best way was to bunk! She also knew that we had a wonderful time in Mahabaleshwar so she asked us how we enjoyed our holiday and then started advising us! What a warm person and an inspirational professional Ms. Chawla was. Her work and legacy live on in the hearts of the people she mentored and so live are the glimpses of her work in one of the finest hotel companies in the world.